Johnson Mechanical Service is proud to serve the St. Henry community! 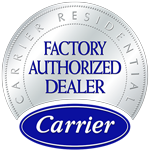 About St. Henry, OH - Happy to be your hometown Heating & Air Conditioning Contractor! St. Henry is a small village in Ohio’s Mercer County, and approximately 2,500 people call the community home. Originally laid out in 1837, the village is named after its founder – Henry Romer. The village was originally incorporated in 1901, although a post office has been in operation here since 1850. 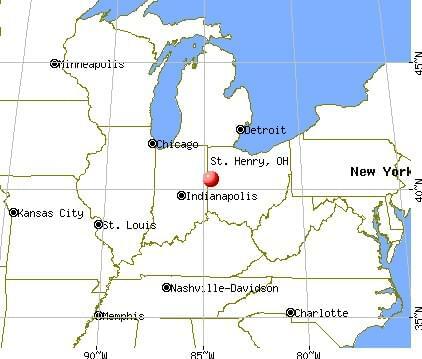 St. Henry is located about 50 miles southwest of Lima, Ohio, and it is about 110 miles northeast of Indianapolis. Despite its small size, there are a few notable attractions and businesses located in St. Henry. Outdoor recreation is popular at both South Park and North Park, which offer playgrounds, volleyball courts, a swimming pool, and the St. Henry Freedom Amphitheater. Popular restaurants in the city include Three Generations and Fish-Mo’s, and shopping destinations include Brides & Beyond, Floral Reflections, Western Ohio True Value, and Ciao Bella Boutique. Residents who are in need of an updated look might also like to book a service at Nuive Salon, Total Image Salon, or the Barber Shop on Mane. St. Henry is part a typical Midwestern U.S. humid continental climate zone. This means that the summer months will be very warm and humid. The average high temperatures reach the mid-80s in July, and there are many days each season where highs surpass 90 degrees Fahrenheit. Thunderstorms are also common, and the best way that residents can prepare for any summer weather is with a reliable central air conditioner. The winter months in St. Henry are cold with moderate snowfall. Average daily highs in the coldest month of January reach only about 33 degrees Fahrenheit. Snowfall is moderate compared to other parts of the Midwest, with only about 25 inches of accumulation each year. Still, it is important that residents prepare for frigid and potentially dangerous conditions with a reliable gas or electric furnace. An HVAC professional can homeowners to select the right system for their properties.